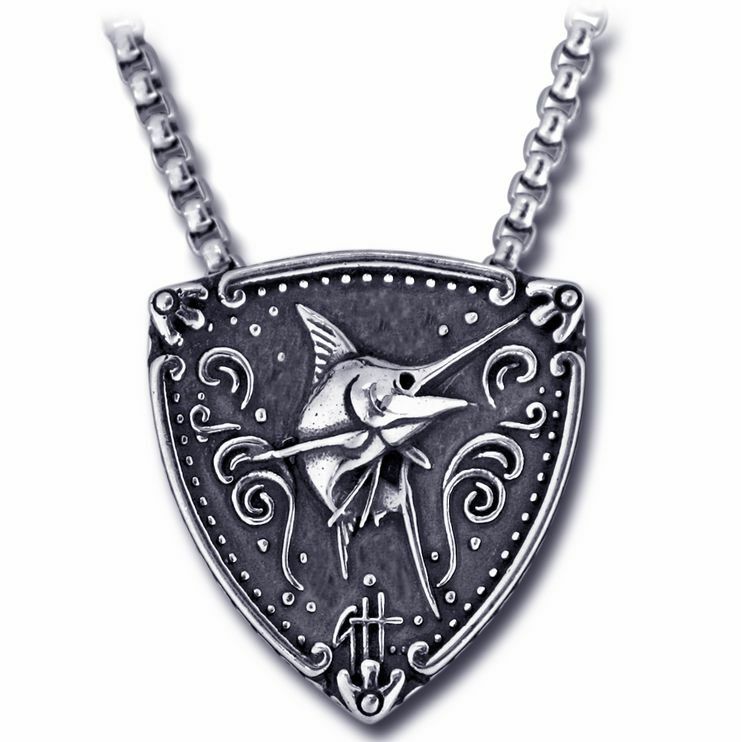 Made with the Sailfish angler in mind, this piece is wrought with detail. 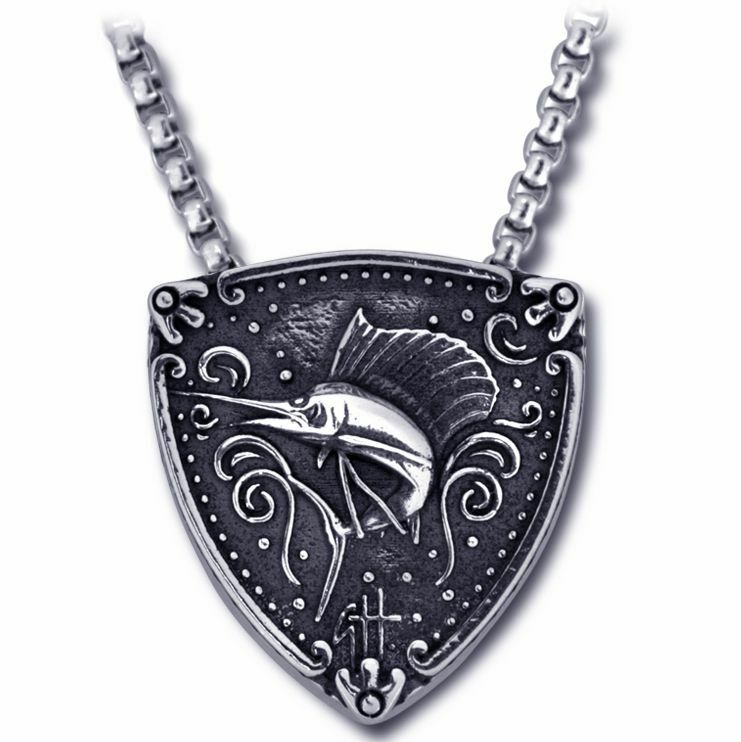 Crafted in solid sterling silver and oxidized to show off the intricate elements this is a true statement piece. Measures 1 1/4 inches from point to point. 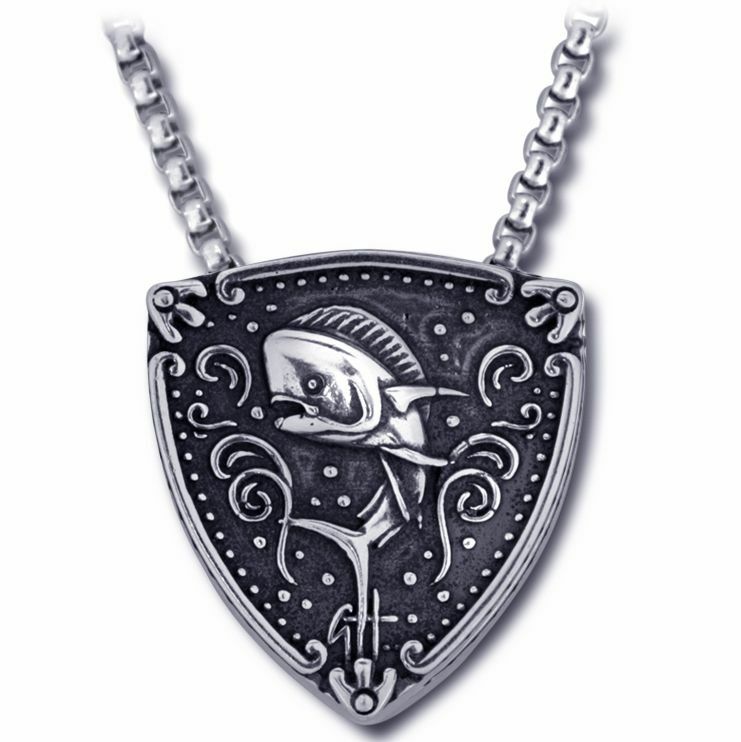 Comes complete with a sturdy stainless steel chain. Made in the USA.